Fall For The Arts at The Rye Arts Center! This fall you can enjoy a wide range of arts opportunities right here in Rye! The Rye Arts Center offers a growing catalog of classes and workshops embracing both traditional arts and cutting-edge art forms. Among the many new opportunities are drop-in open studio times where you can explore, tinker, and enjoy unstructured time for creativity. Eye On Art will continue to lead tours and discussions. Stand-up comic, Kim Berns, will lead an adult comedy class. Children can compete in a Minecraft Build-off Tournament. This season also heralds The Rye Arts Center’s first BYOB paint class! Exhibitions will explore Cuba through a photographic lens, small reasonably priced works by dozens of artists, and fine art photography from The Ground Glass. Performances include a dance party with Cocomama’s Latin fusion music, Coffeehouse Music at Le Pain Quotidien, Ladies Comedy Night, and one-act play readings. This year’s fall lineup will highlight Cuban culture with a series of events called Cuba! A Hot Celebration. The series will include an exhibition, a dance party, workshops for children and parents, a book signing, and a discussion of photography in Cuba. 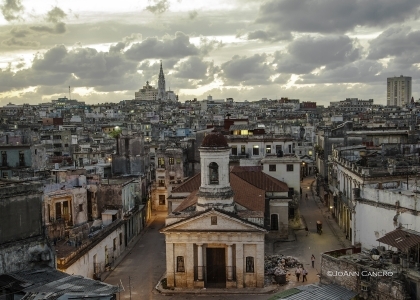 Photography by JoAnn Cancro featuring her perspective during her journey to Cuba. Small works by dozens of artists. Each piece will be no larger than 12” x 12” and will be affordably priced. A Gathering of Light: The Fine Art Photography of The Ground Glass. A group show presented by The Ground Glass, a Westchester-based association of fine art photographers. New large-scale sculptures will be presented on our lawn at 51 Milton Road and in Rye Town Park. A night of dance, food & drinks with music drawn from Afro-Cuban, Caribbean, Jazz, & South American styles. Enjoy live music, dinner, and drinks in this series of performances at Le PainQuotidienin downtown Rye. She Said What?! Ladies Comedy Night! Enjoy a gourmet lunch followed by a program of on-act plays read by terrific professional actors. Begin a new holiday tradition with an afternoon of heartwarming short plays and stories with family and friends. A Selection of New Arts Education and Hands-On OpportunitiesThere are nearly one hundred classes and workshops to choose from as well as private and group music instruction. Here is a selection of some new classes we offer. Explore unique exhibitions and locations and learn about collecting and owning art. Schools, parents, or teachers can sign-up to learn lesson plans and activities that can be brought into classrooms to teach visual literacy. The topic this fall is Architecture. A BYOB evening of self-expression through paint. No paint-by-numbers, no pressure to be perfect. If you’ve never picked up a paintbrush, make this your first time. Presented in conjunction with the Digital Arts Experience, participants will have one hour to show off their Minecraft skills. Judges will determine a winner. All participants will go home with a prize. Explore our MakerSpace and Ceramics Studio. Come once or often. Perfect for novices who would like to learn something new and experts who want to tinker. Join comedian Kim Berns for a fun, scary, and exciting course culminating in a family and friends comedy night with you as the star! For more information and details visit us online at www.ryeartscenter.org where you can find our complete Fall Guide. Call to learn more 914-967-0700 or stop by our main office on 51 Milton Road, Rye, NY.